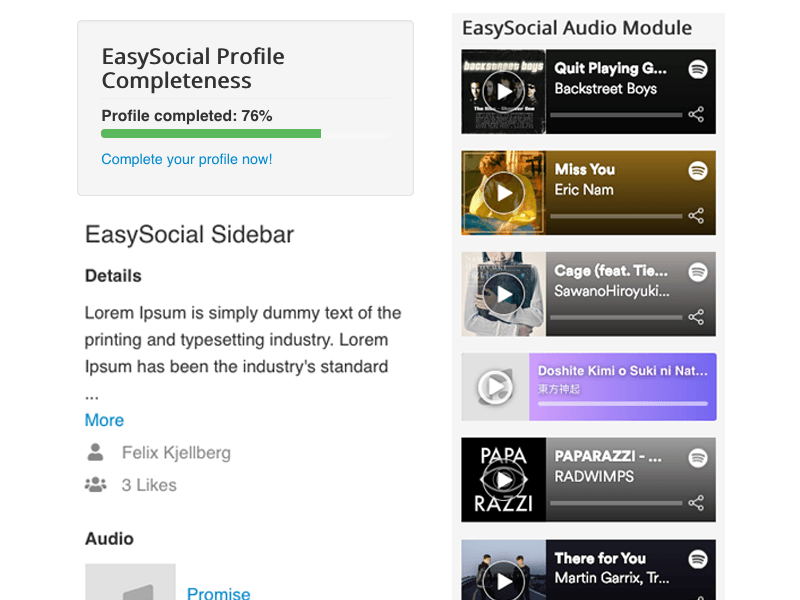 EasySocial has an infinite and extensible features that fulfills any growing community needs and wants. 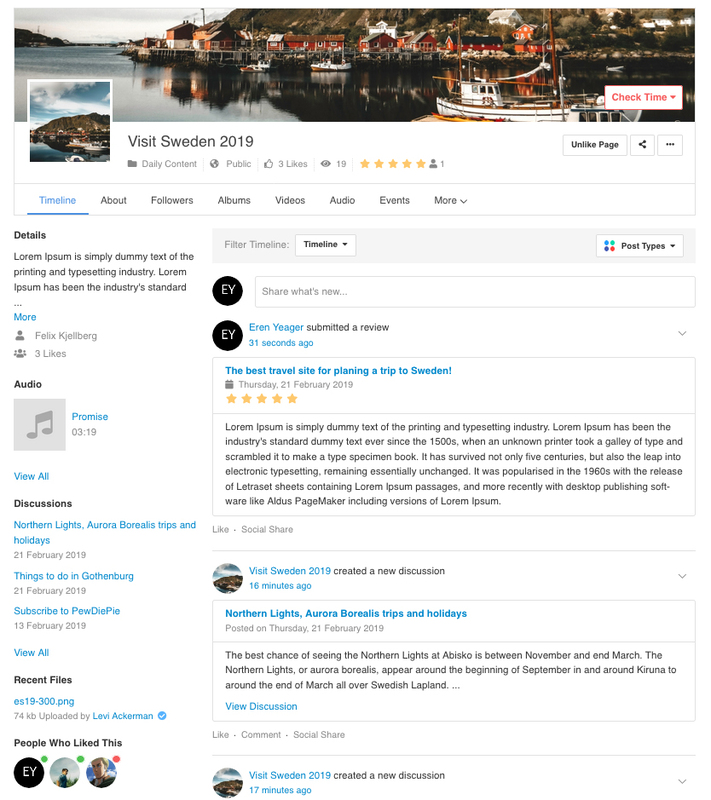 Highlights brand new status updates, profile pictures, upcoming events, photos, videos or audio uploads, interactive polls and much more. 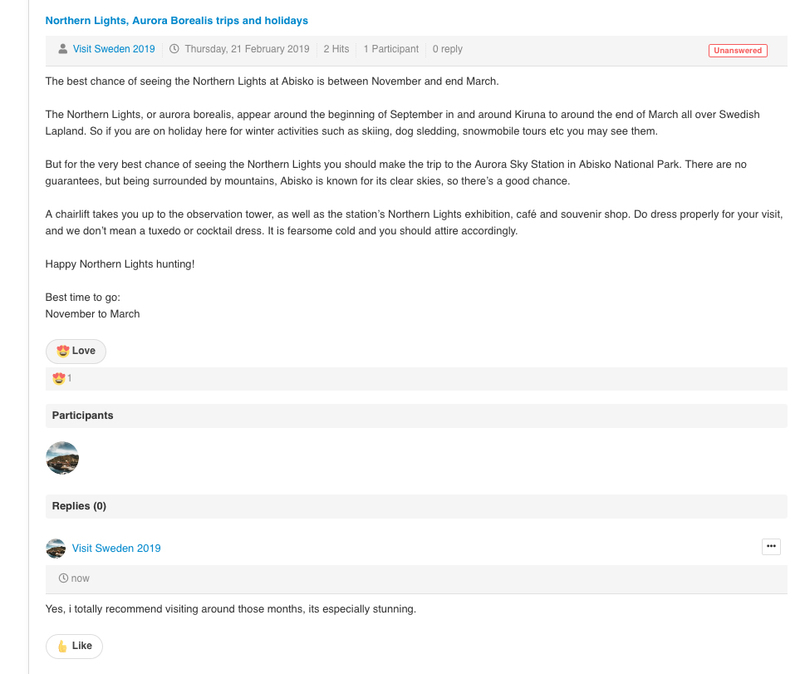 Post status updates with a fun splash of solid or gradient colors. 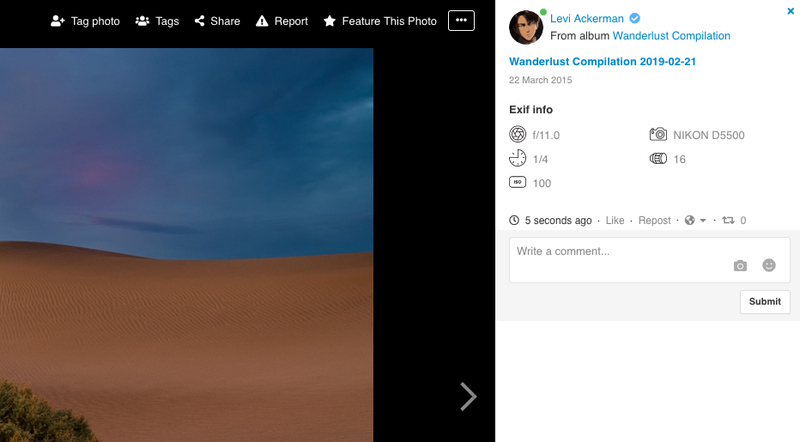 Site admins can also add various custom backgrounds at the backend as well. 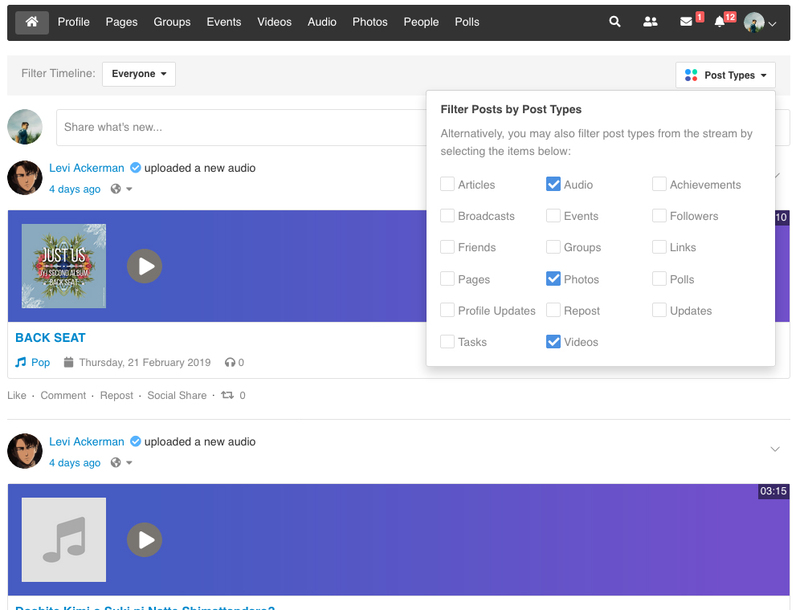 Users can now easily search through the activity streams with the stream filters based on the different conditions and post types. 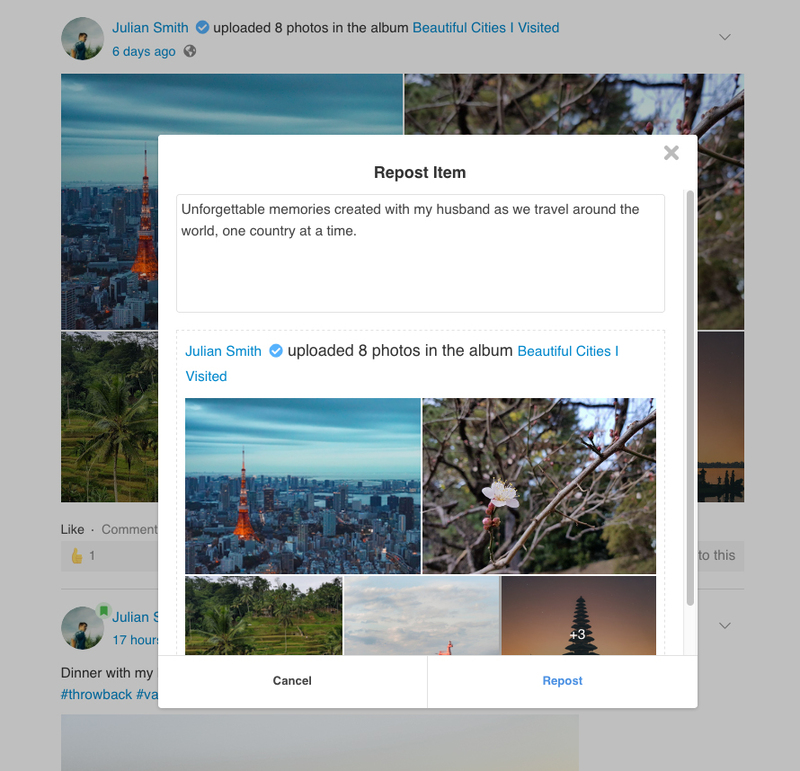 Along with the brand new UI & UX of the story form, it also allows user to pick their favorite post types for quicker access. 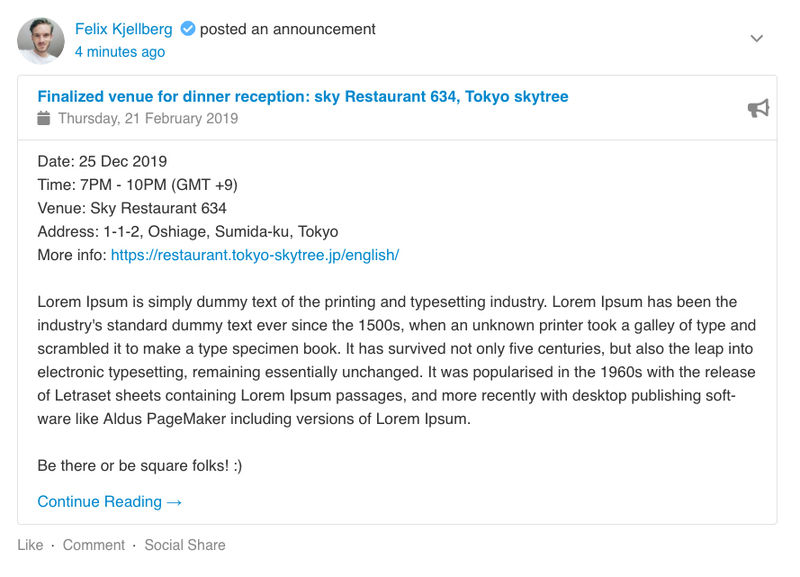 Key in ":" on the story form and it'll suggest the available emoji on the site. Site admins can also upload new emoji at the backend as well. 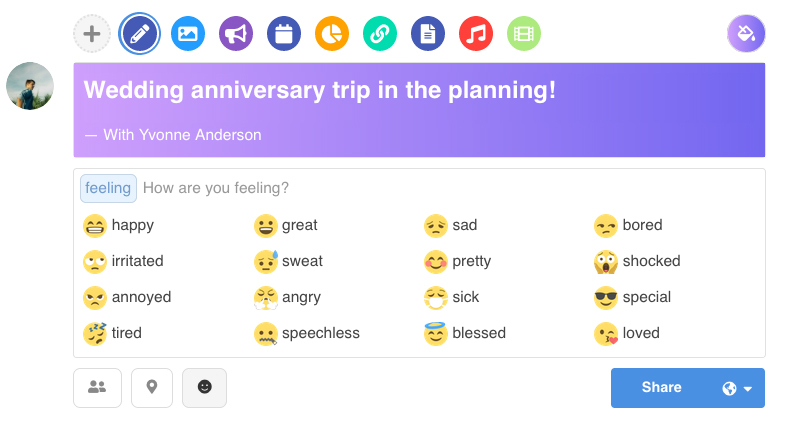 Share your current mood or feelings on your story form with our built-in mood selections. 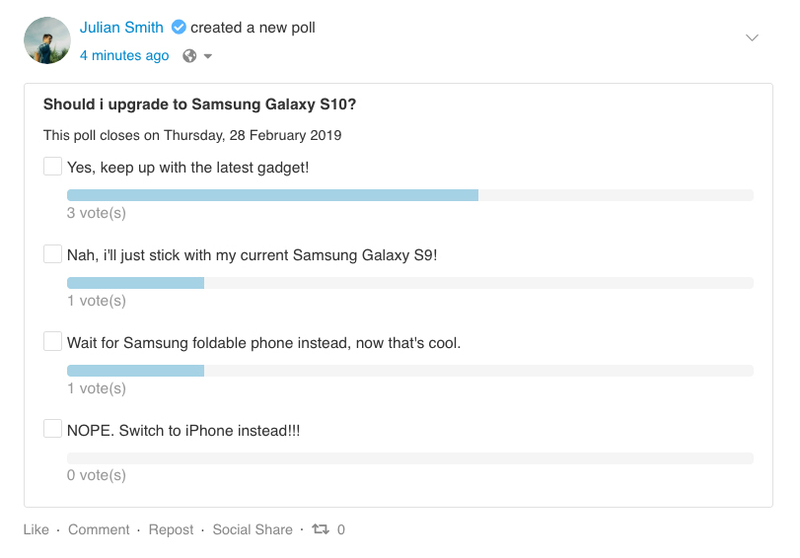 Create and post questions that allows your friends and followers to cast their votes. #Hashtags help users to search for the latest trend on social media or topics that are being actively discussed. You have to option to alert your friends by mentioning their @names. 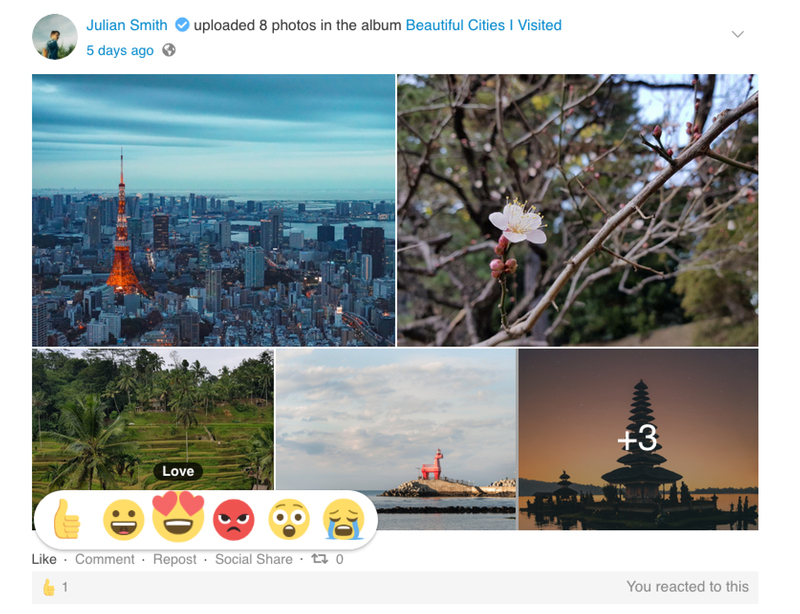 Similar to Likes, reactions allow users to choose from 6 pre-defined emotions which includes Like, Happy, Love, Angry, Wow, and Sad on every post, poll, comment, photo, video, audio on the activity stream. 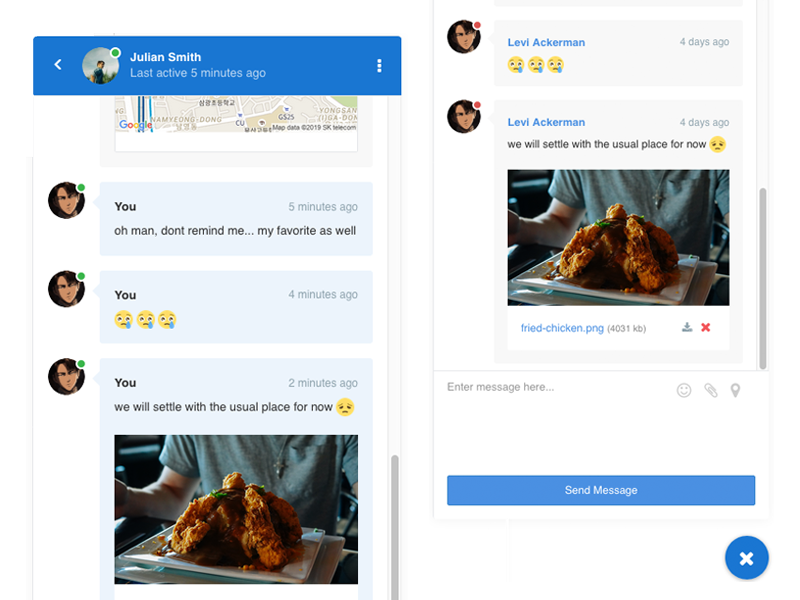 Allows user to quickly share any story updates to all of their friends or followers. It'll also reference the original user of the post. Pin the most meaningful or important post to the top. 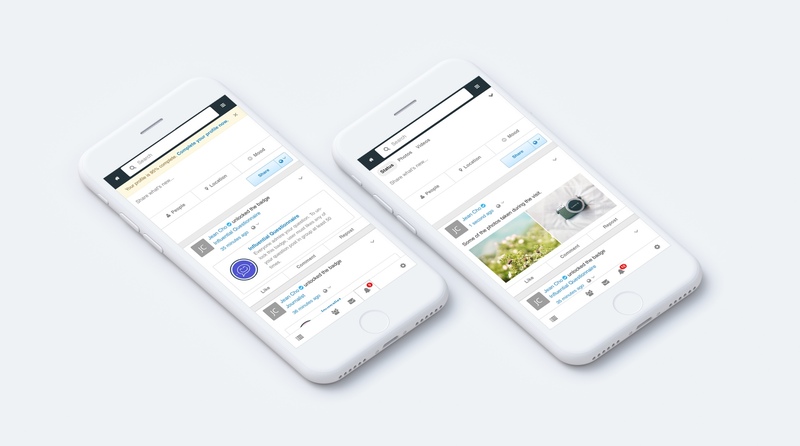 Gain more awareness and exposure while being flooded with multiple posts in the activity stream. 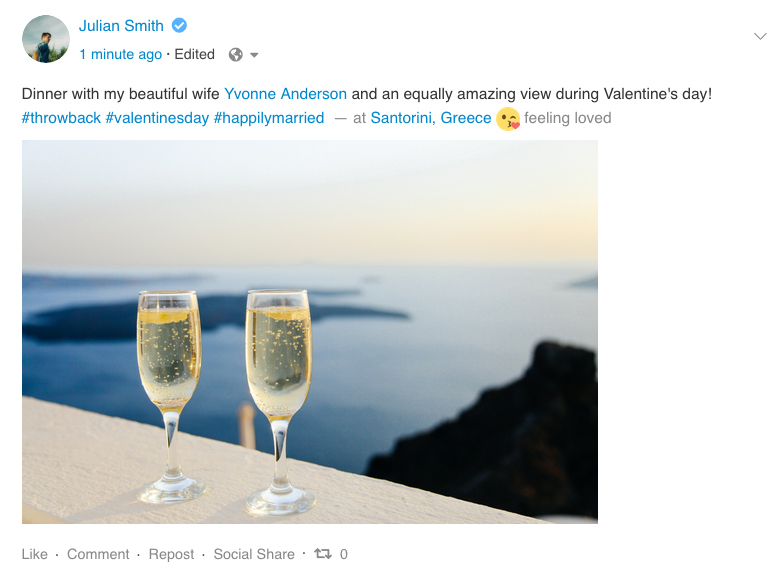 Every post in EasySocial will generate a rich media thumbnail, especially for videos. 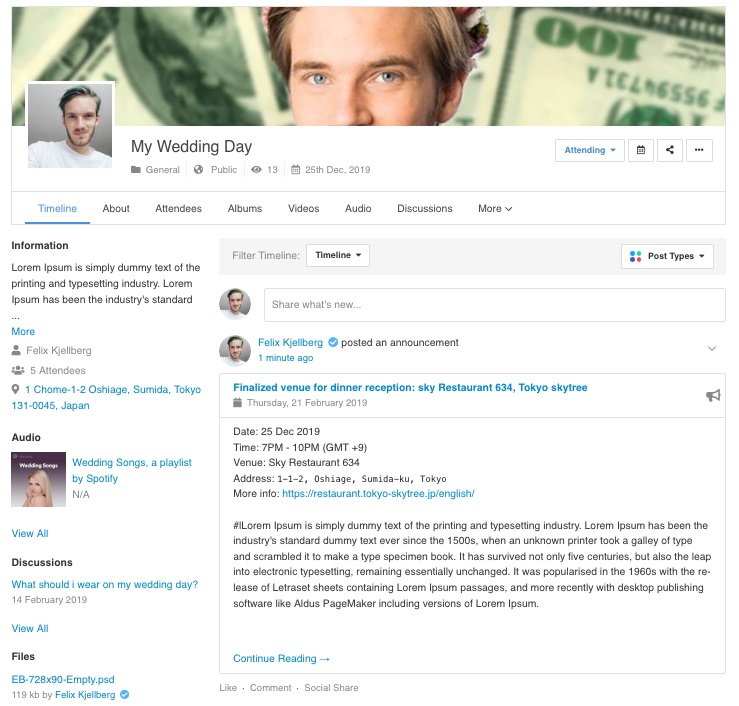 It allows user to engage and edit with the posted content. User can tag a person whose post might be of their interest and it will also notify them after being tagged. A quick introduction of a person, whether a potential new friend or anyone that you might be interested in. Goodbye to plain and dull looking default avatars. You can now have beautifully designed initials used as profile pictures on the site. 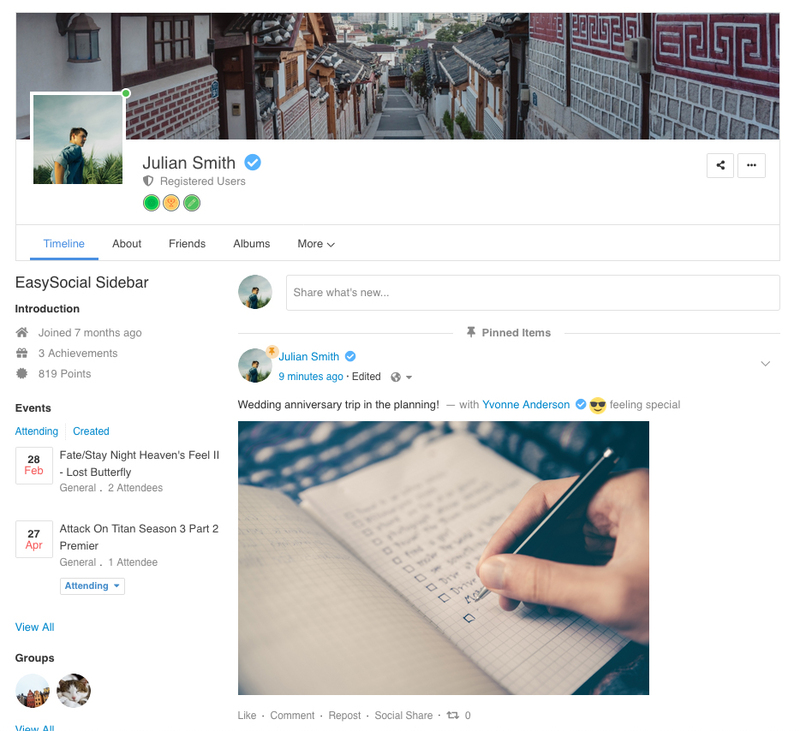 Verified users will have the verified badges beside their names, which make it easier for others to identify them throughout the site. 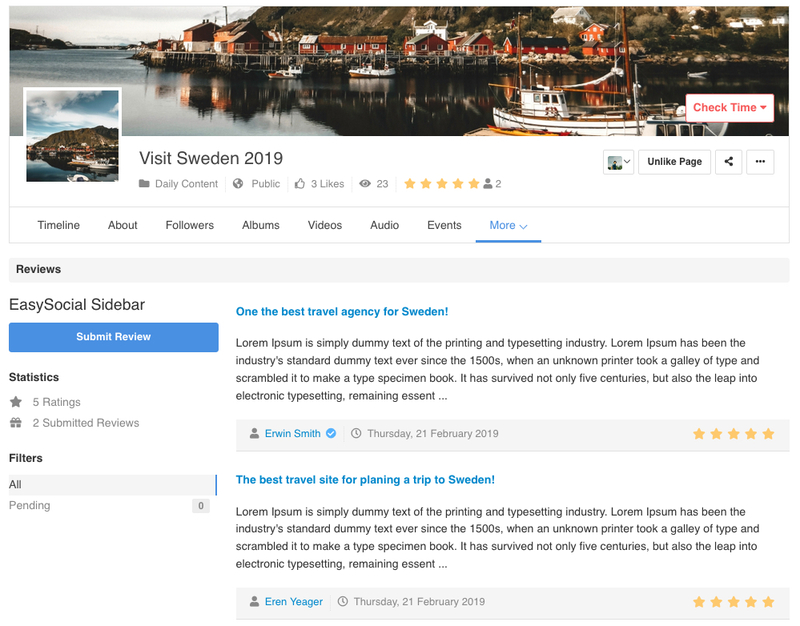 A place for people to get connected with your business. Suitable for any startups or businesses within the community to interact with their customers. 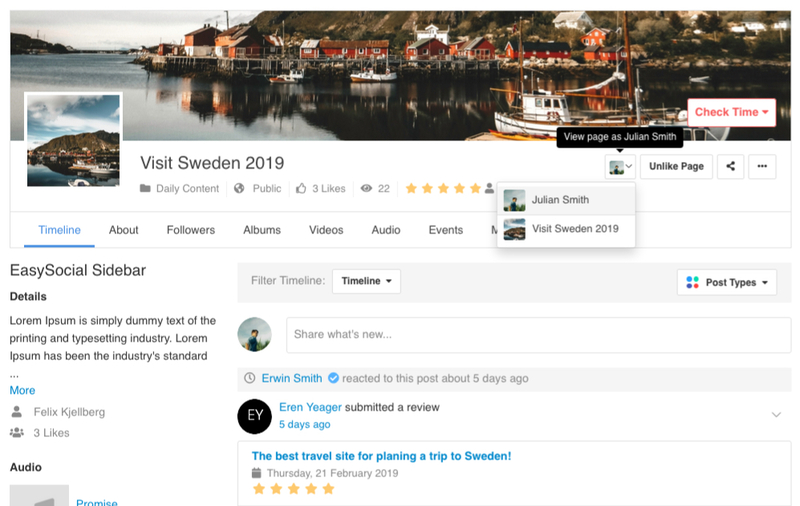 Page owners can now easily switch in between their personal and page account when posting new status updates, comments or reactions out of the box. 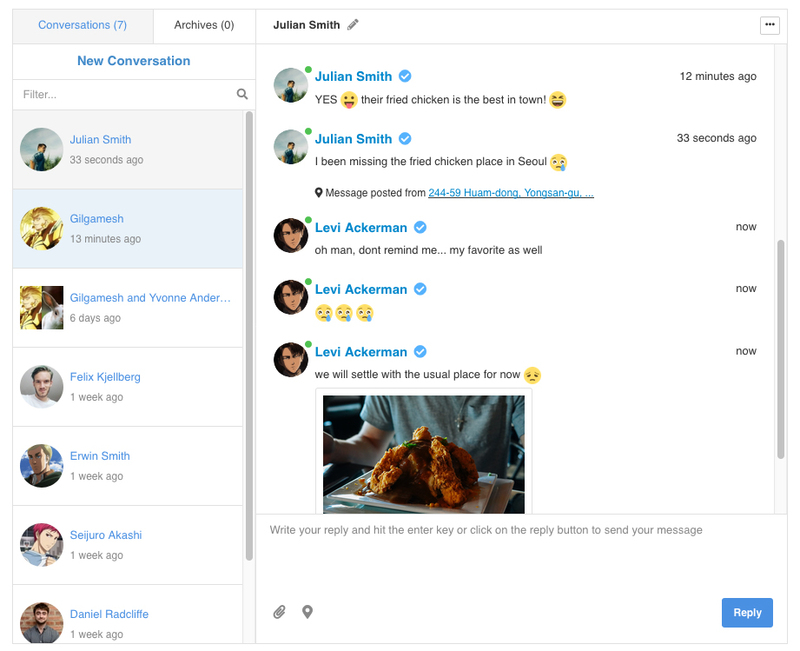 An avenue for users to discuss and share constructive feedback which can be used as opportunities to further nurture your businesses or services. Groups are meant for people with common interests, to share, interact and keep in touch with one another more closely. An avenue for members to discuss and share constructive ideas which can be used as opportunities to further enhance group activities. 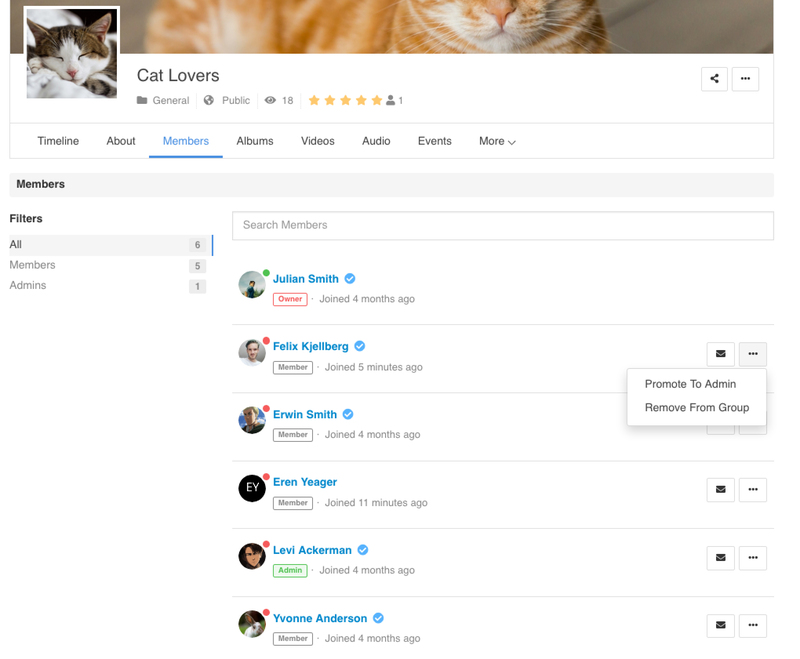 Group admins can now filter, approve or disapprove any pending members in the group. 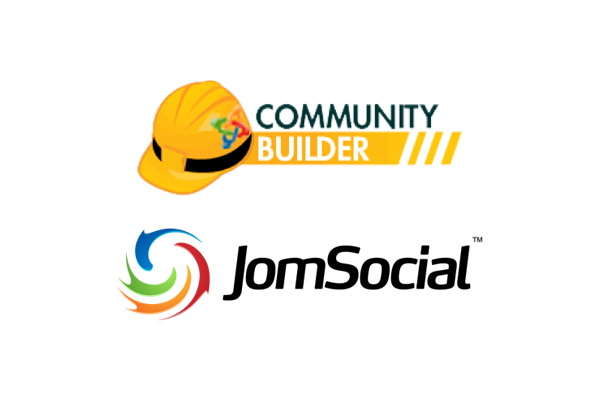 Know the latest happenings and upcoming events within the community. Organize social gatherings whether Open, Private or Invitation Only for all occasions. 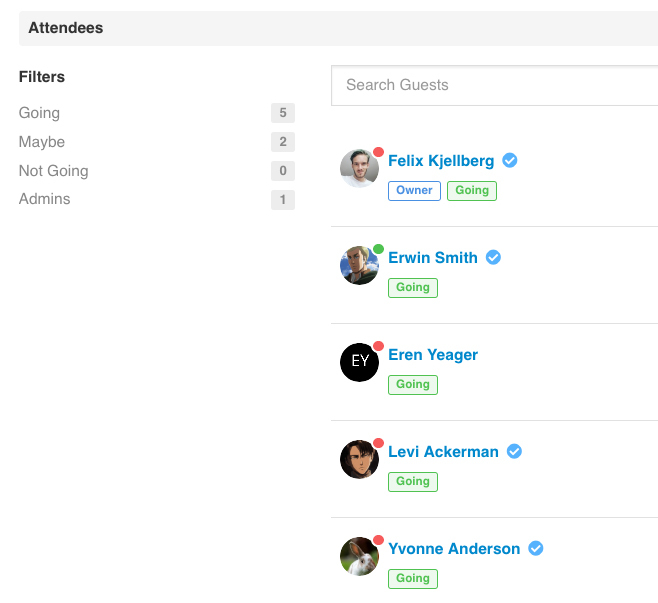 Know your guests - keep track the number of possible attendees of the event. Get everyone on the same page. Disseminate important information regarding the event and minimize avoidable outcomes. 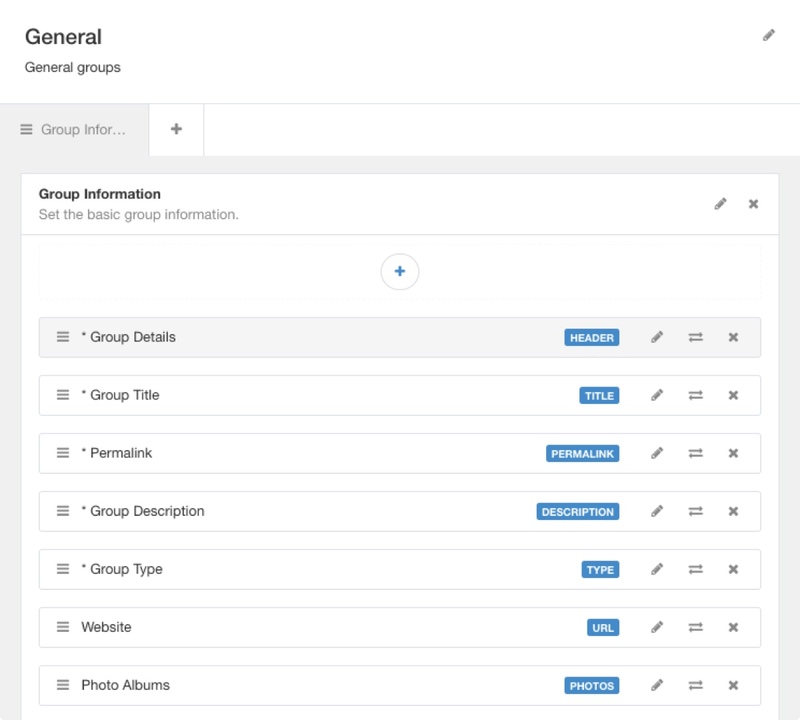 Share files and collaborate with one another, giving access to attendees to contribute their part as well. Engage in private conversations with newly acquainted friends or involve in group chats. Get notified immediately when new messages arrive in your inbox. 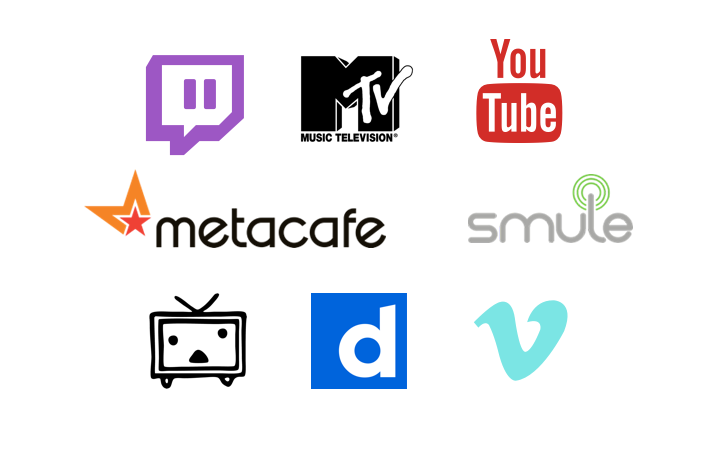 Share documents, PDF files, image files, video or audio files and zip files effortlessly. Emoji have become a staple for expressing emotions better through texting. 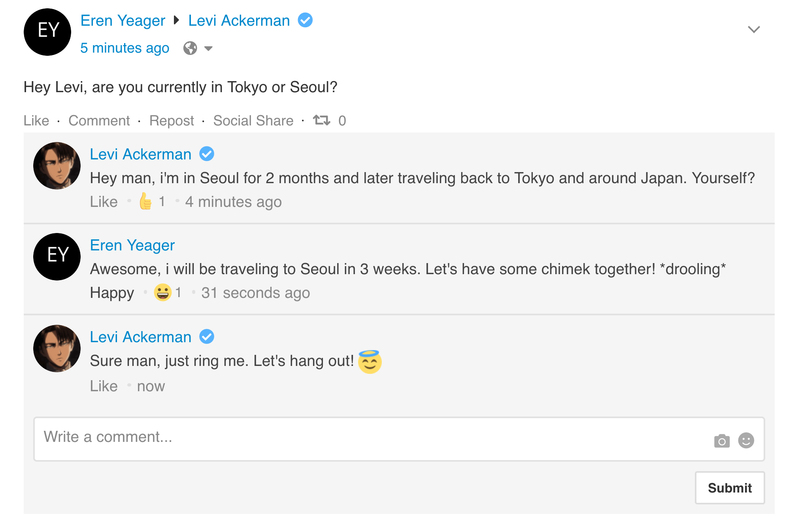 Emoji support in EasySocial makes conversations even more engaging and fun. 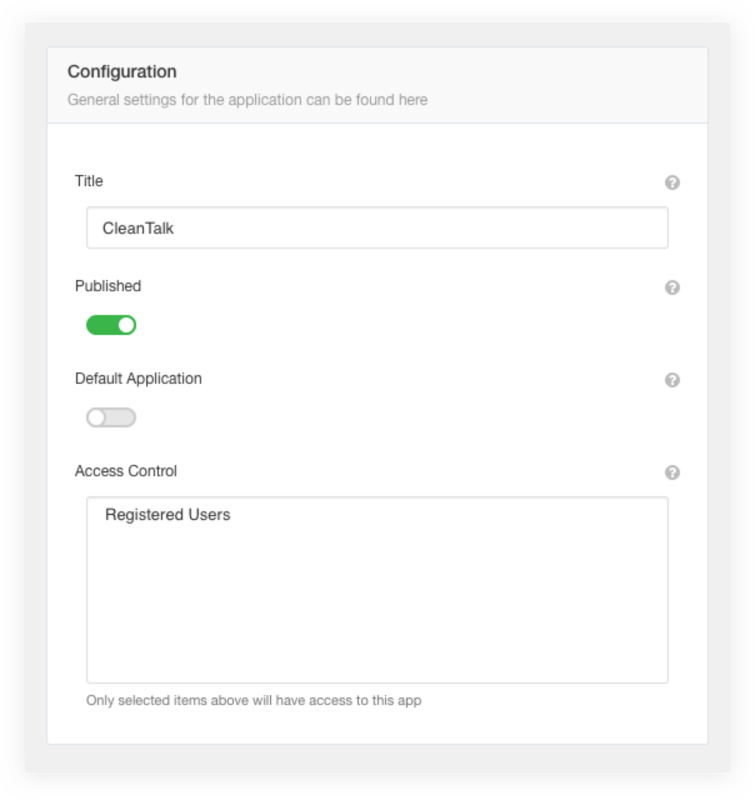 Get message updates from your peers or groups almost instantly with ConverseKit integration. A picture is worth a thousand words. Share every picturesque moment or even the funniest GIF on the internet. Celebrating special moments to the finest. *GIF images require external services. Share insights on the right composition in order to capture the perfect shot. 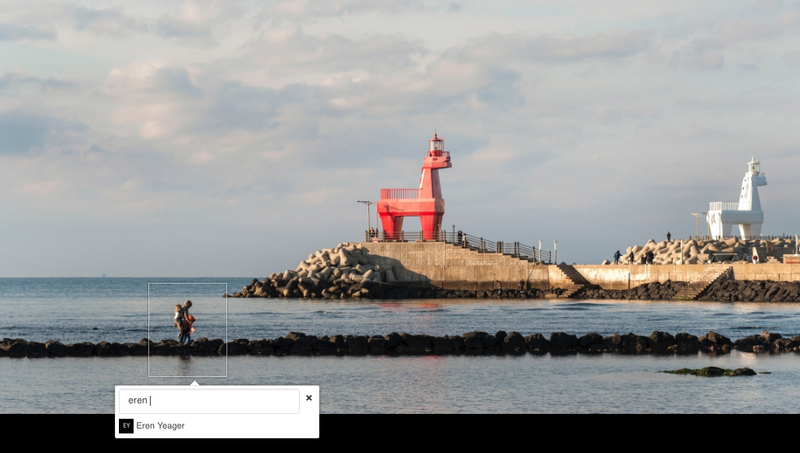 Google Maps, Google Places and FourSquare integration for you to pinpoint the exact location of the photos. Tag someone on your photos and it will notify whenever a user was tagged. Easy on the eyes. 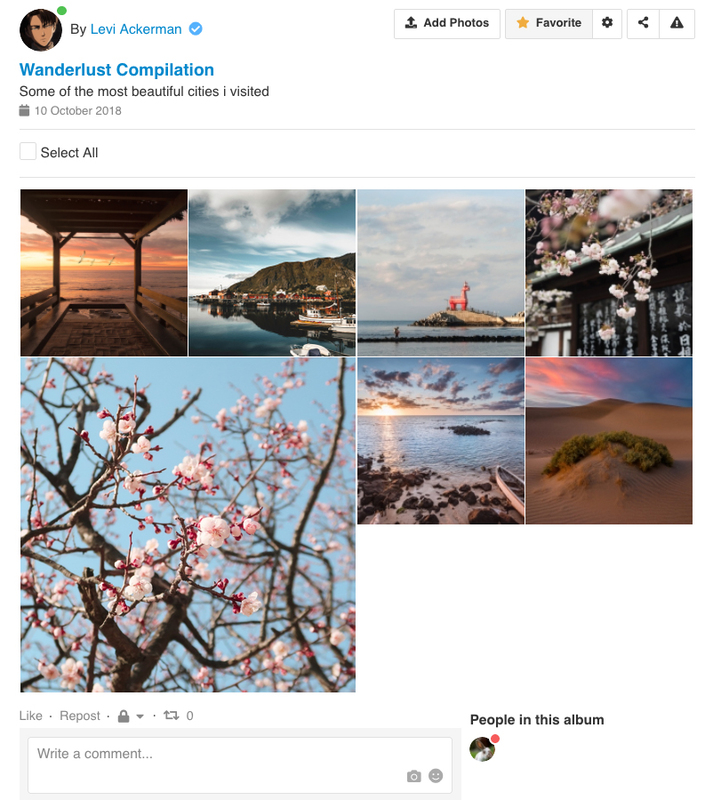 All uploaded photos in EasySocial are displayed in a beautiful grid arrangement. 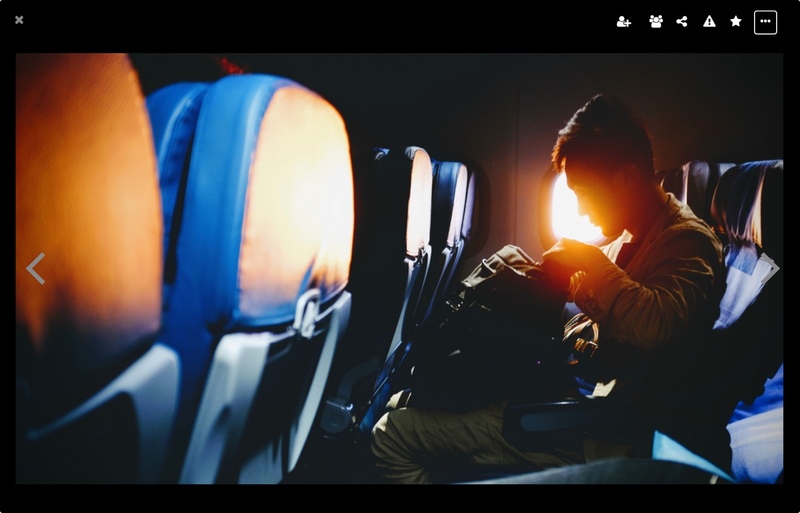 Videos are one of the most immersive ways to share and discover new source of entertainment in EasySocial. 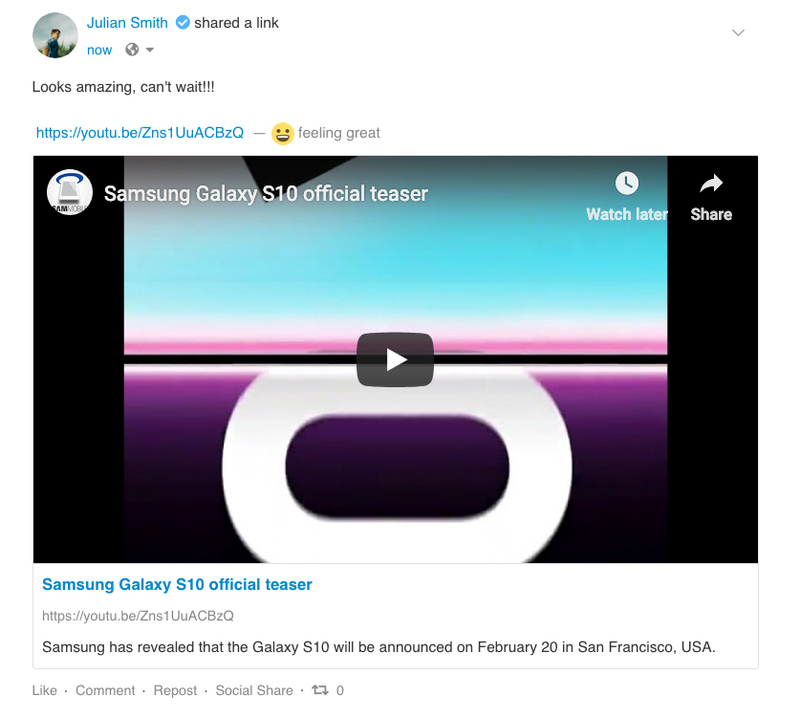 Share trending, personal favorites or even homemade videos with your community. 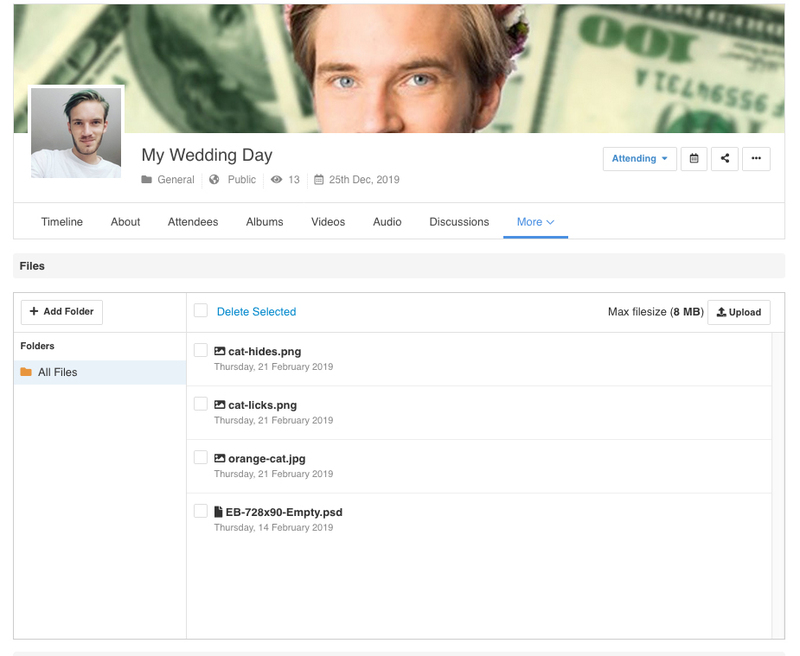 From uploading video files to embedding external links on user profiles, groups, events or even pages. 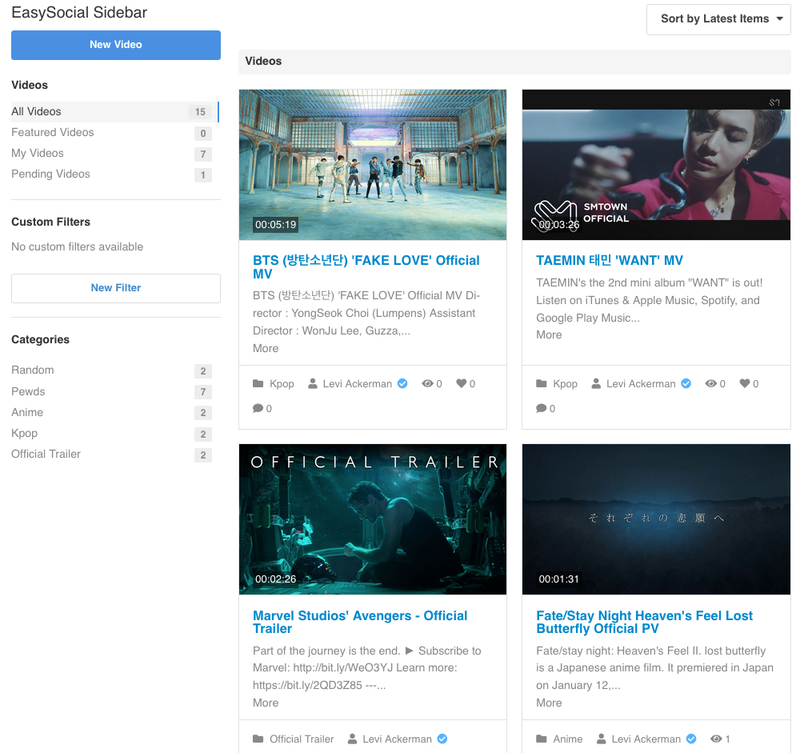 Embed videos from YouTube, Twitch, Vimeo, DailyMotion, MTV, Smule, LiveLeak, Metacafe and much more. 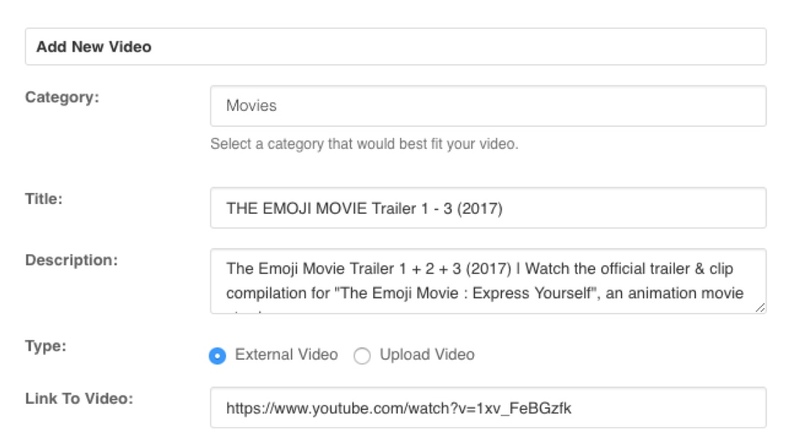 Users can now categorize all video uploads or embedded videos so it can be easily searched. Share some of your favorite tracks or remixes. 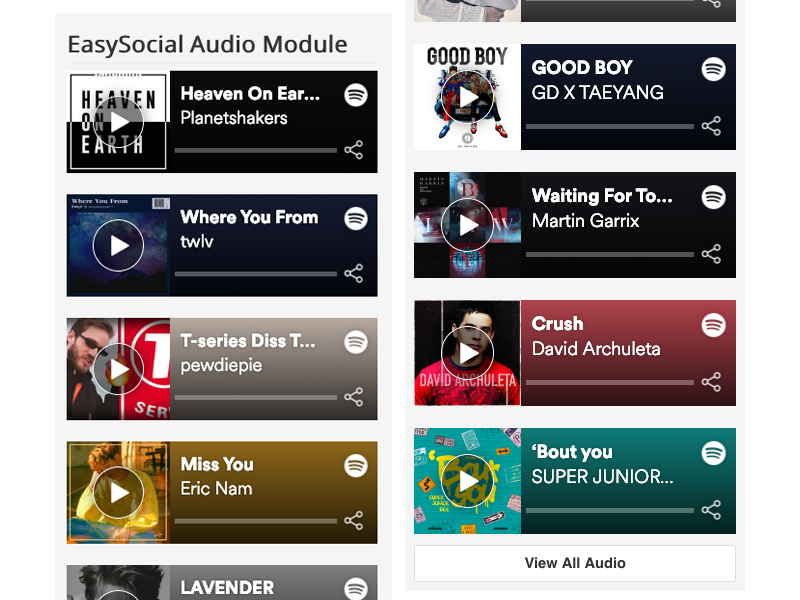 Play and discover new tracks, and build the perfect playlist within your community. 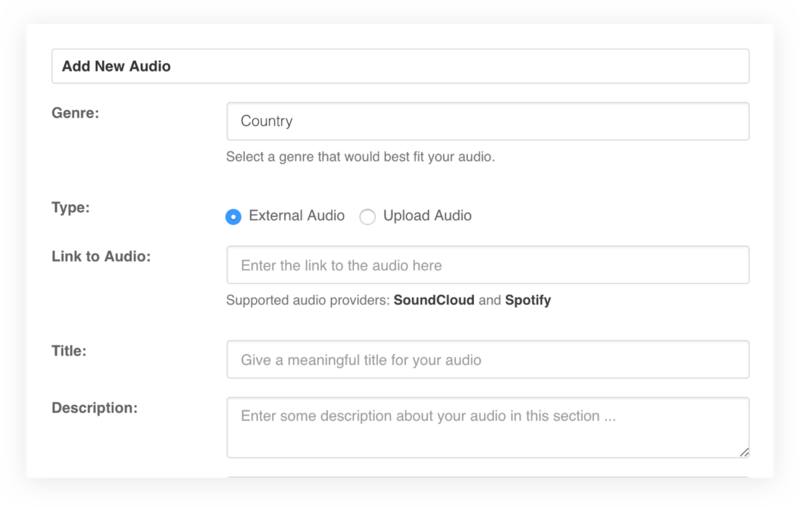 A module that displays a list of audio uploads created on the site, it also can be placed anywhere on the site. 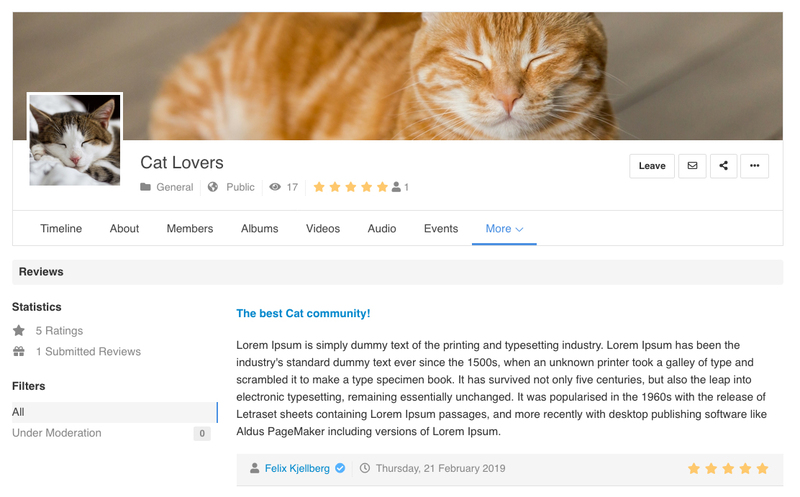 From uploading audio files to embedding links on user profiles, groups, events or even pages. 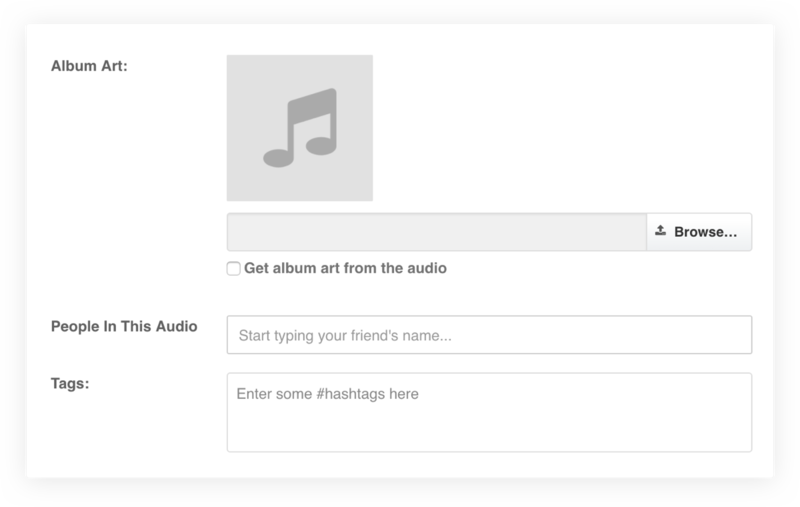 Renders original album covers of the audio file or you could even personalize it on your own! Embed audio from Spotify and SoundCloud - Limitless choices and endless music! 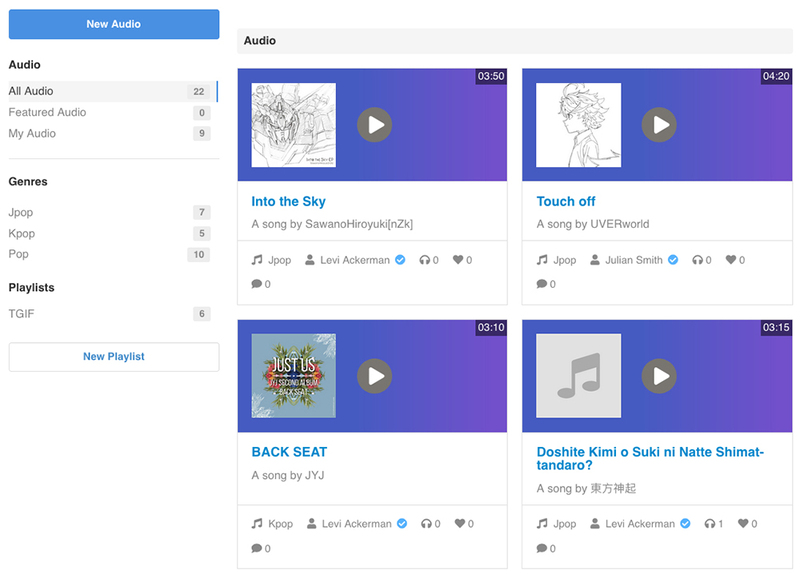 Create multiple playlists and share it within your community for all occasions. 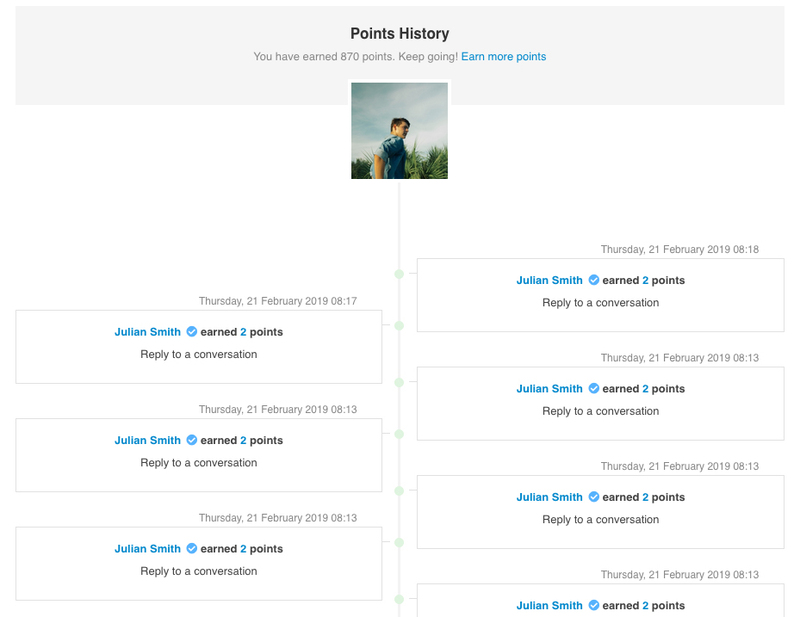 Keep track of points and discover how certain actions influenced gaining or losing of points in EasySocial. 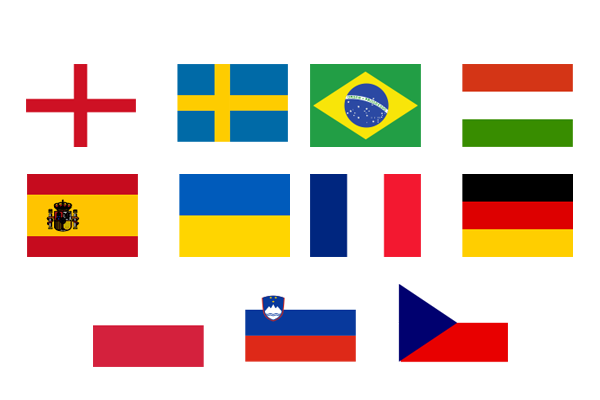 Users are able to gain or lose points whenever specific actions are performed on the site. 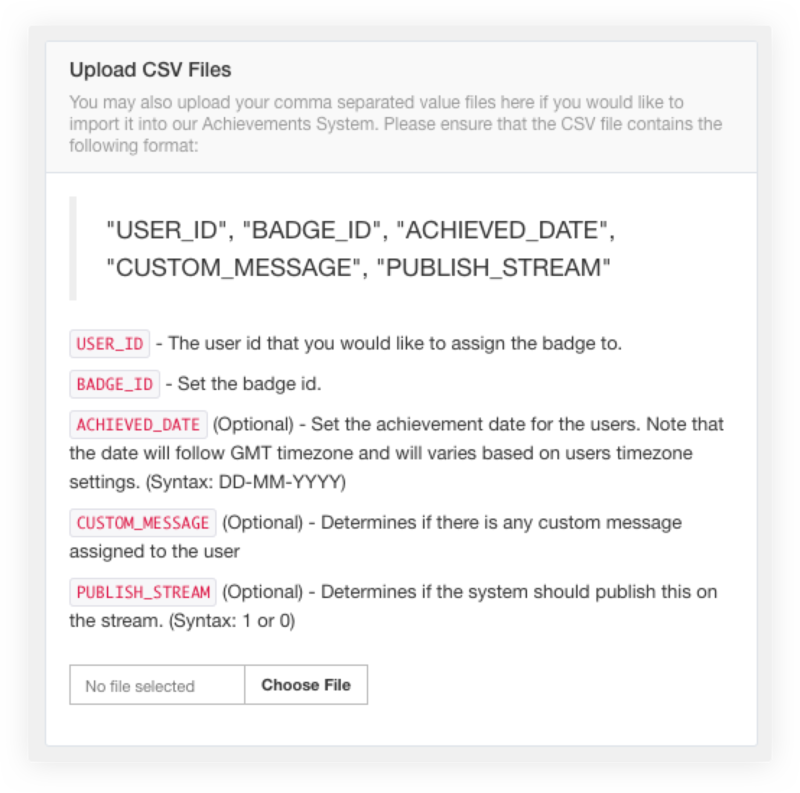 Users can achieve reward badges and showcase their achievements right from their profile page. Earn even more badges when they fulfilled the set requirements. 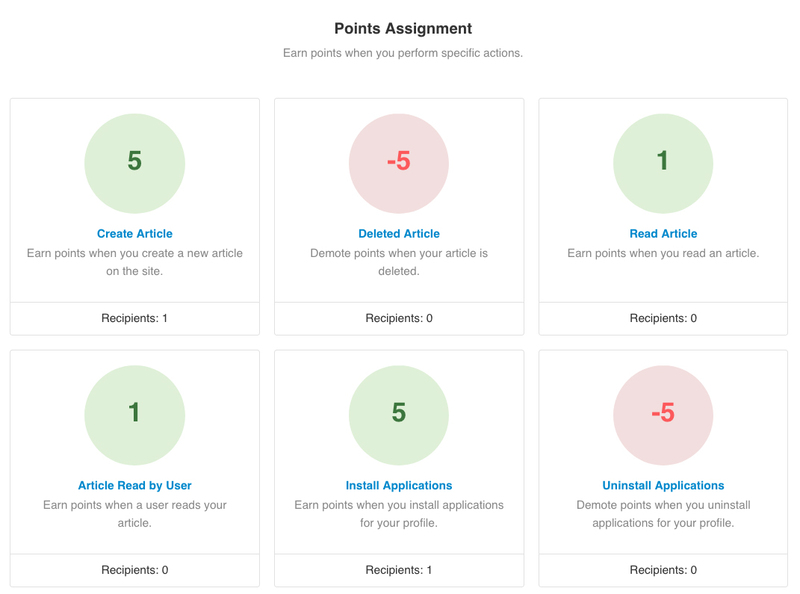 Site admins are able to mass assign badges to specific users from the backend. 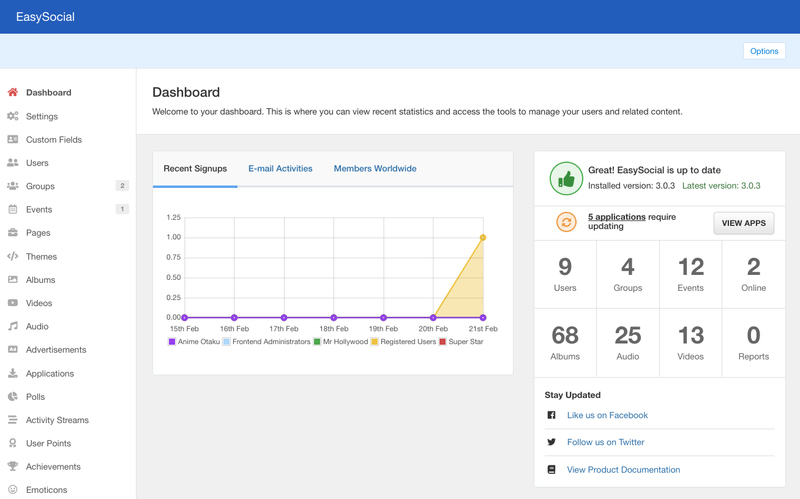 Powerful backend interface and user friendly settings. 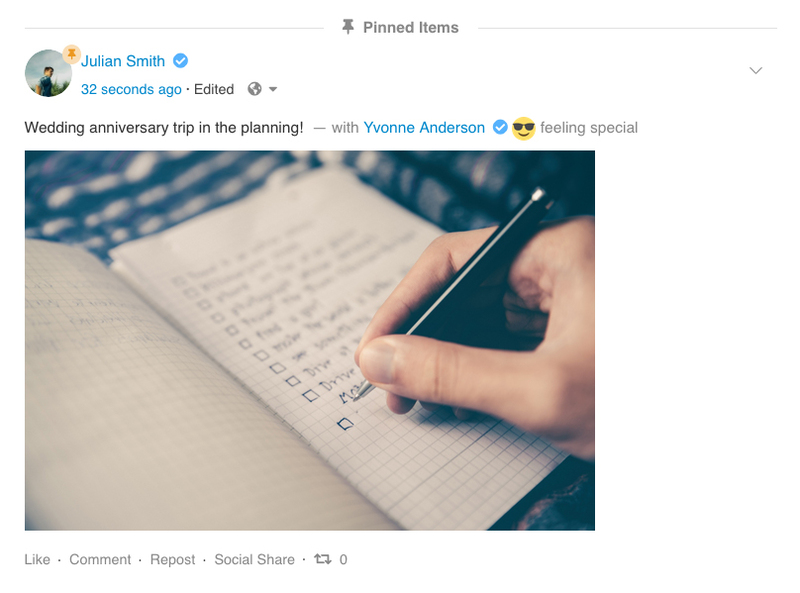 All you ever needed settings to take better control and manage your social site. View through a bird's-eye view on the vitals of your social site and get notified along with other core extensions in Joomla of extension updates. 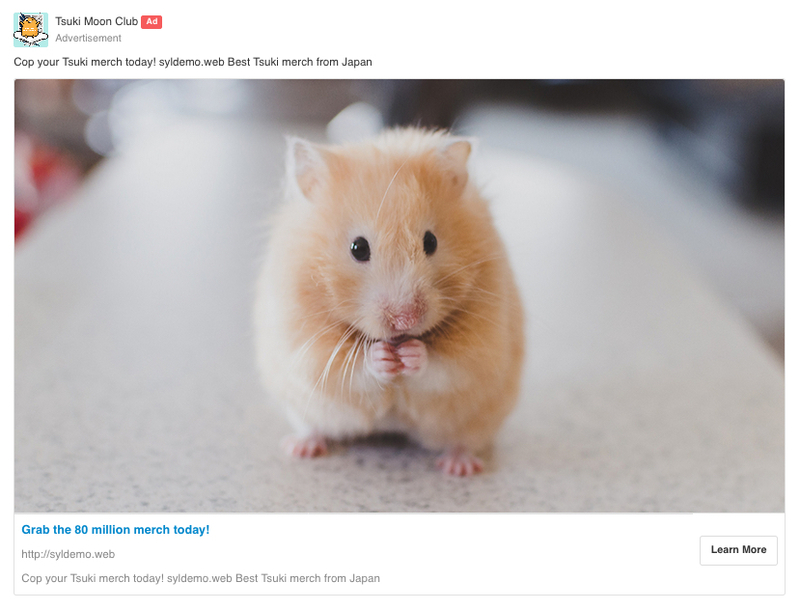 Create multiple ad banners and set the frequency of the ad display to be shown on your social site. 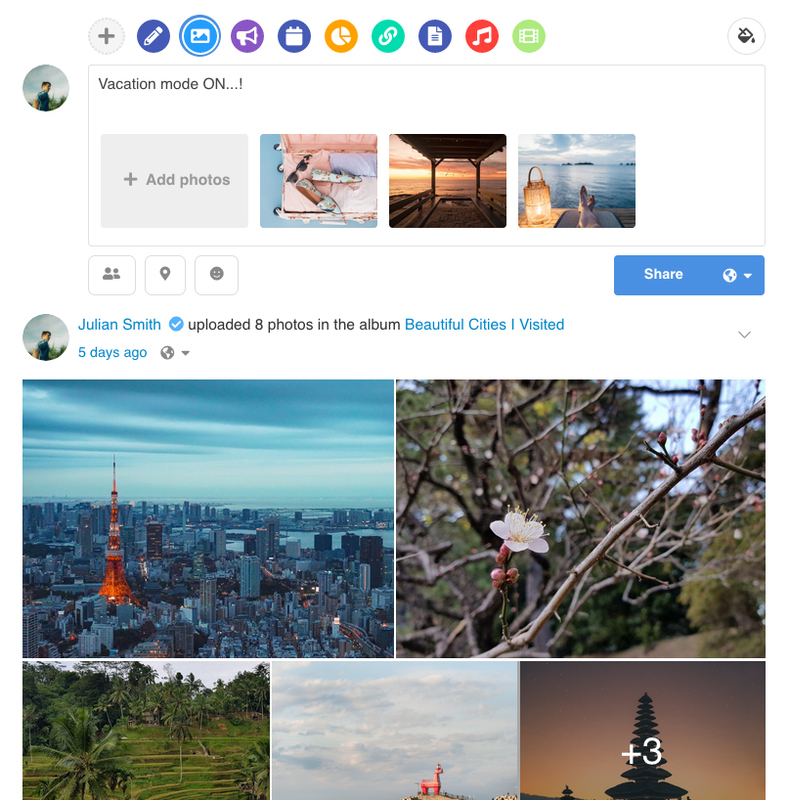 Allows site admins to create embed share buttons on any external sites. 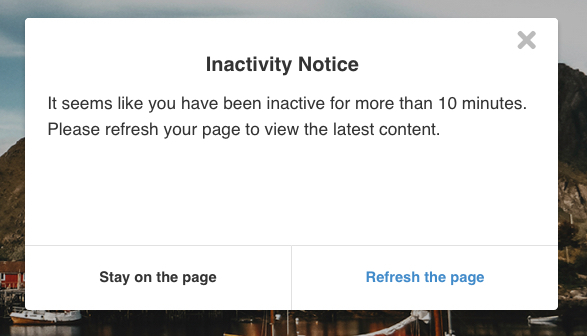 Displays the amount of time that the users were inactive on the site, reminding them to first refresh the page to get the latest content. Robust and reliable remote storage for EasySocial. It allows you to store media files remotely, thus lighten the load of your webserver drastically. 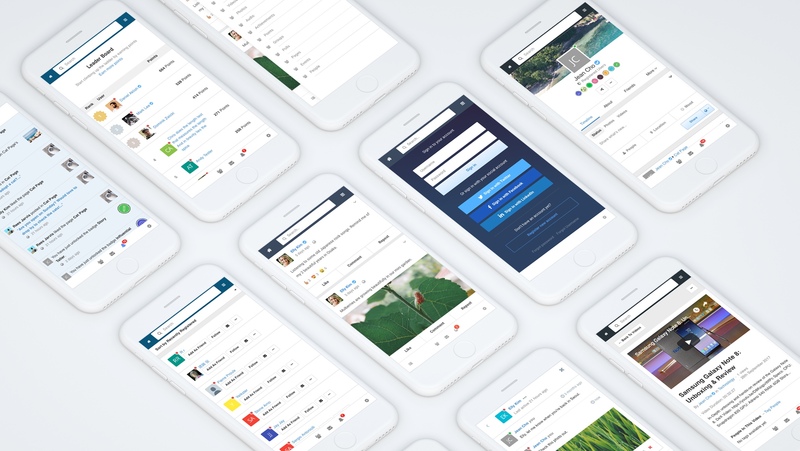 Boosting your social site usability with over 40 redesigned and refactored modules to ensure your site remain engaging and relevant. Filters and rejects any incoming spammers automatically. CleanTalk and Akismet have a huge list of known IP addresses that are blacklisted in their database. Site admins can also configure the post frequency to detect any spammers in comments and activity streams as well. 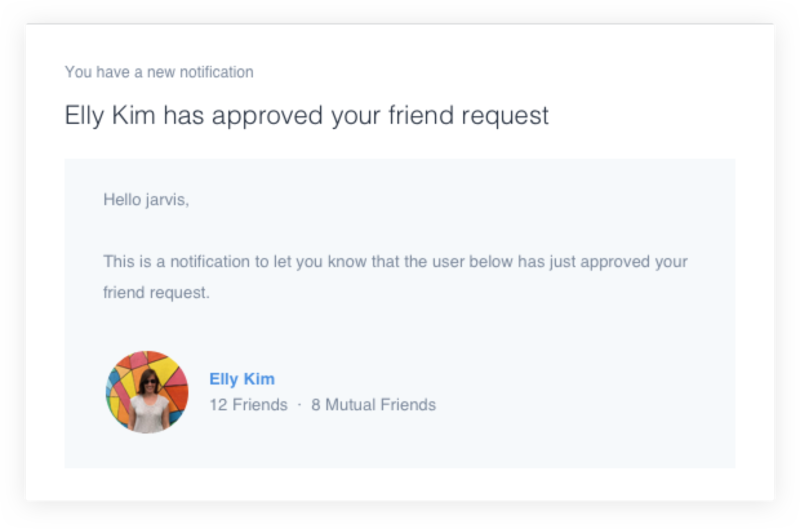 Users will receive instant e-mail notifications whenever there are any friend requests, events, comments, updates and so on. 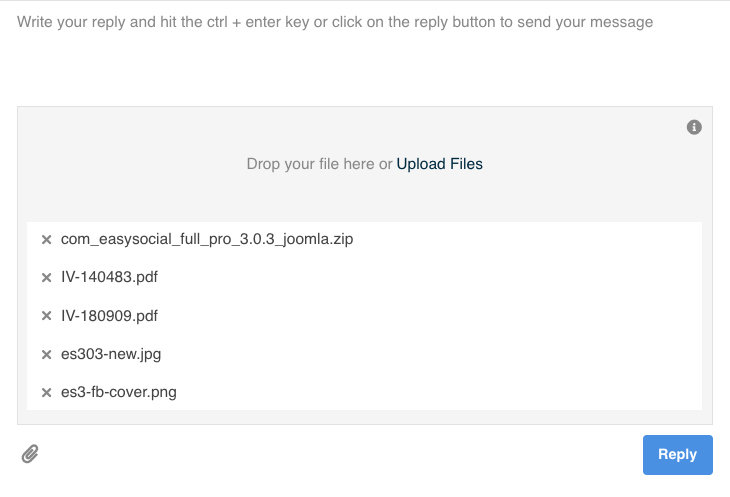 Not to mention, site admins are able to modify the content of email notification templates as well. 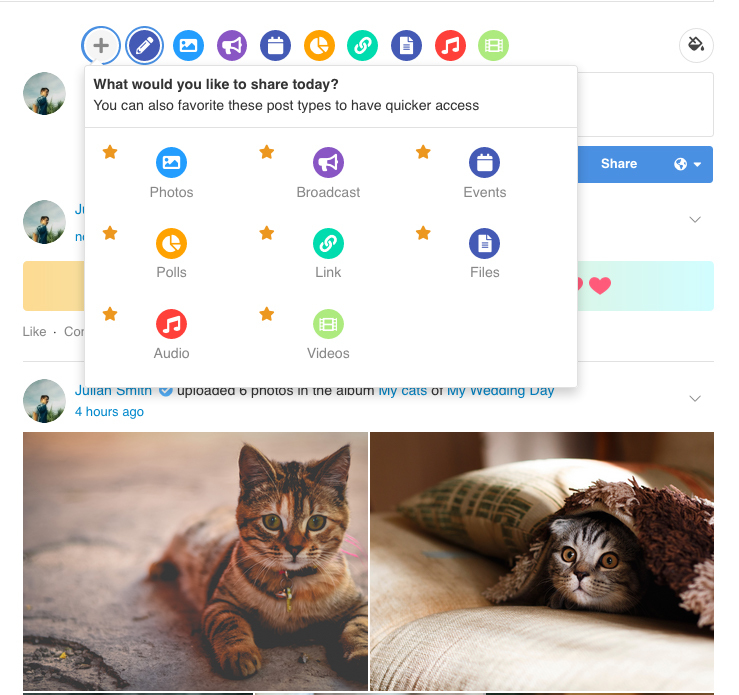 Users have privacy control over their post items in EasySocial. Easily configurable with only one page to manage it all. 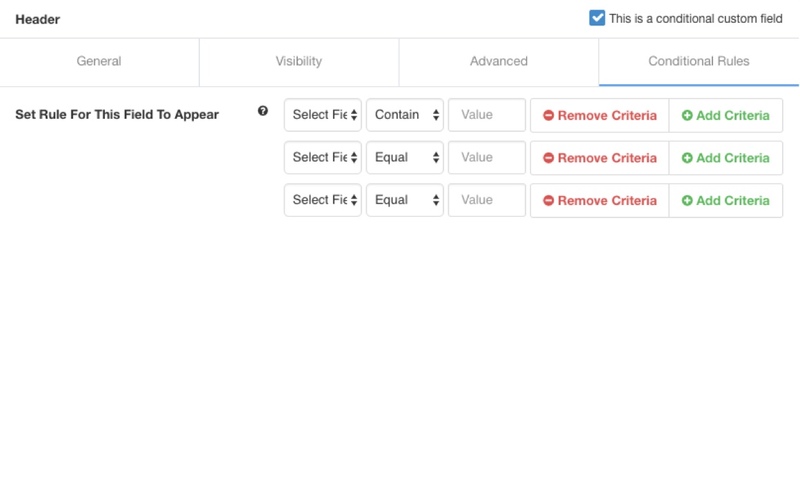 Site admins can also control the default privacy values for all profile types. 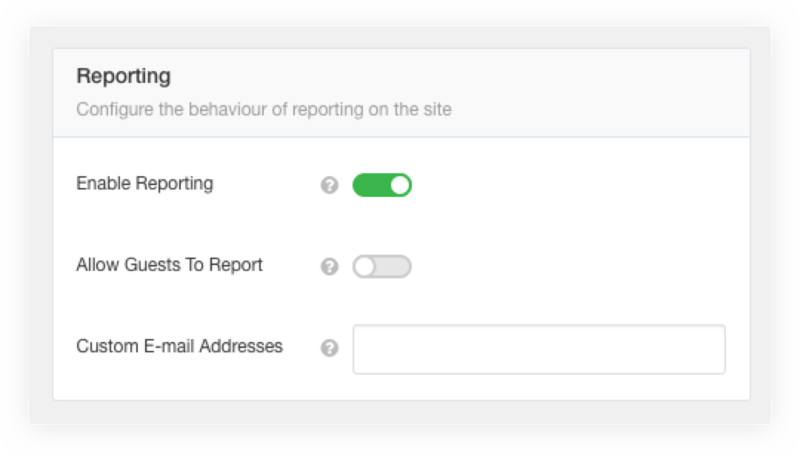 Crowdsourcing users to report in any unethical, inappropriate or suspicious behavior on the site for site admins to take immediate action. 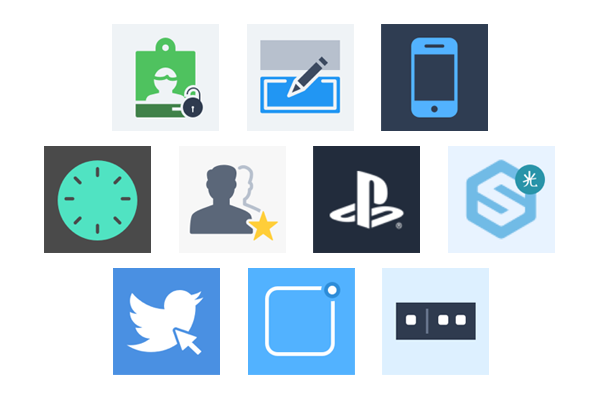 Empowering your social site with over 100 addon apps that works seamlessly with EasySocial - 3rd party plugins, custom fields, templates and homegrown apps as well. Hassle free access to EasySocial apps directory from the administration area, from the point of purchasing to downloading apps. 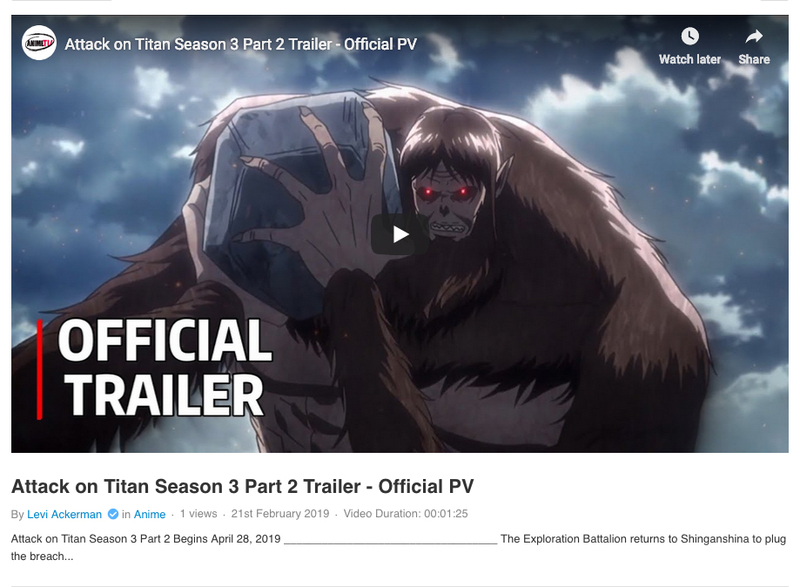 Fully responsive, toolbar and navigation were revamped and redesigned to allow less obstructive view of the site, especially for users who are constantly on-the-go. 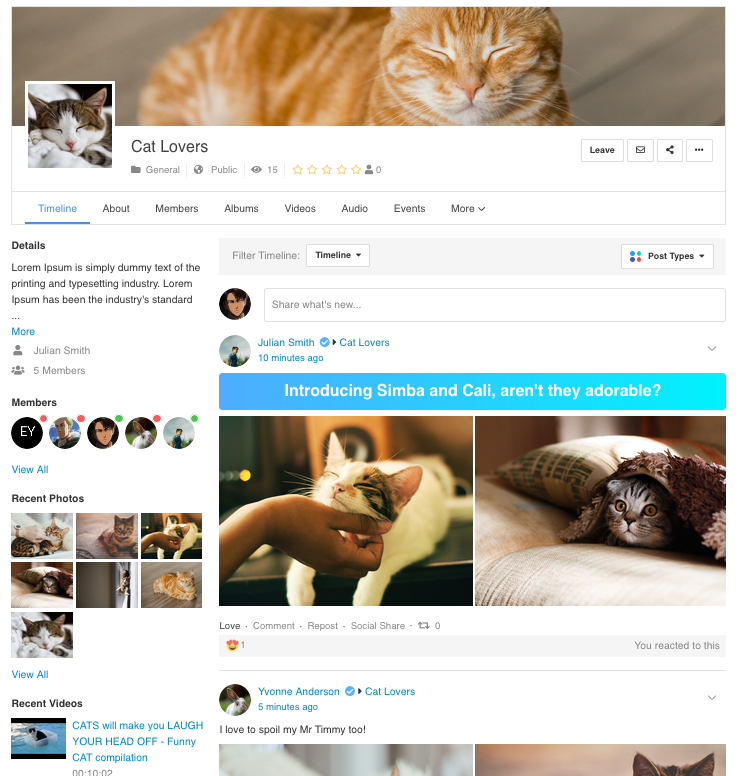 Beautifully displayed EasySocial on any mobile web browsers. It behaves almost like a native app. 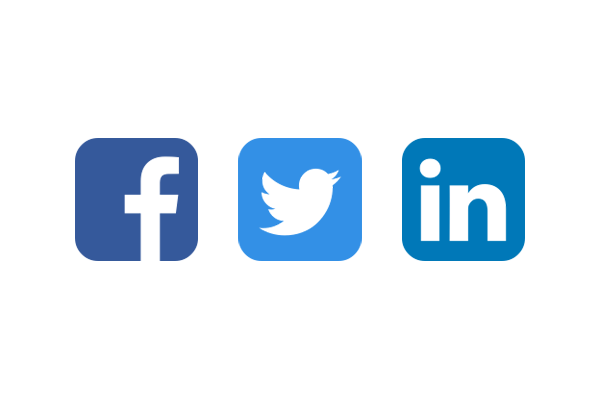 Enhance your social sites with powerful 3rd party integrations made exclusively for EasySocial. 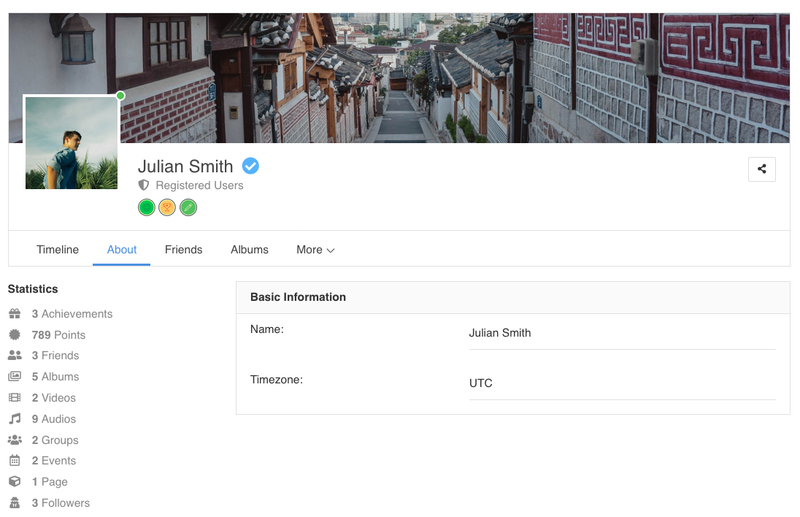 Personalize individual fields to suit the workflow requirements of the profile types. 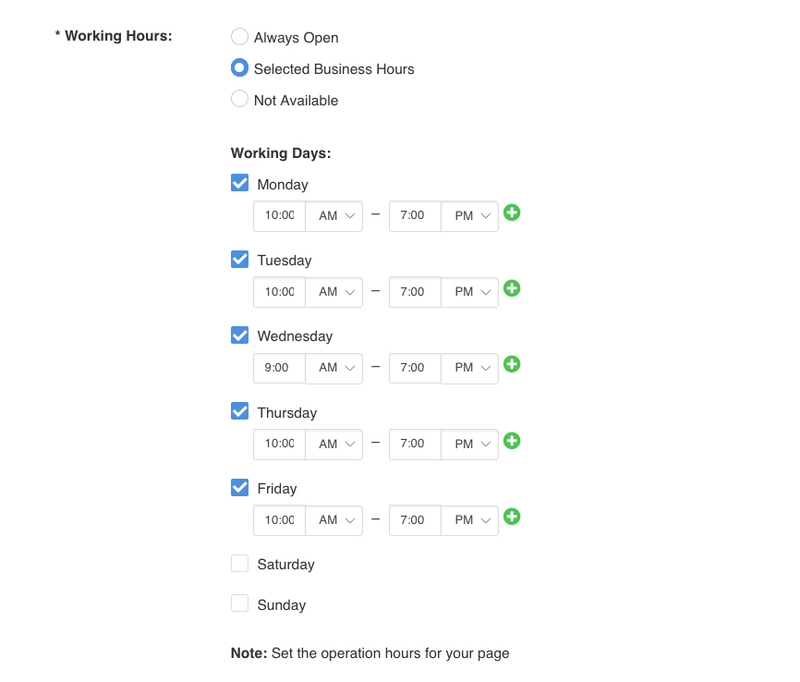 Customizable behavior depending on your profile forms with over 40 custom fields available. 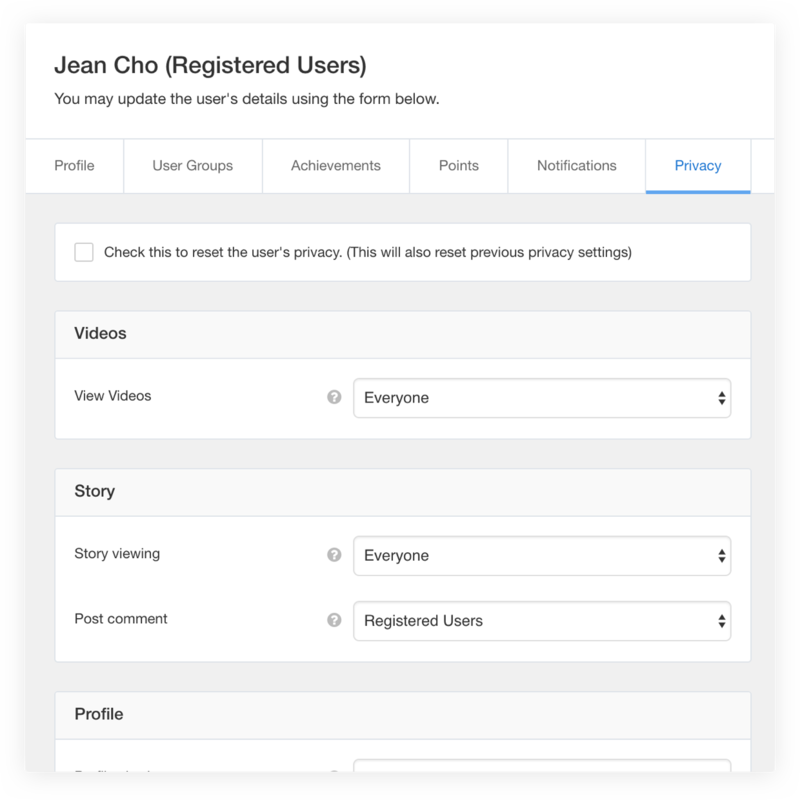 Friendly drag-and-drop customizable registration workflow UI, with the freedom to create multiple profile types, each with its own set of custom fields. 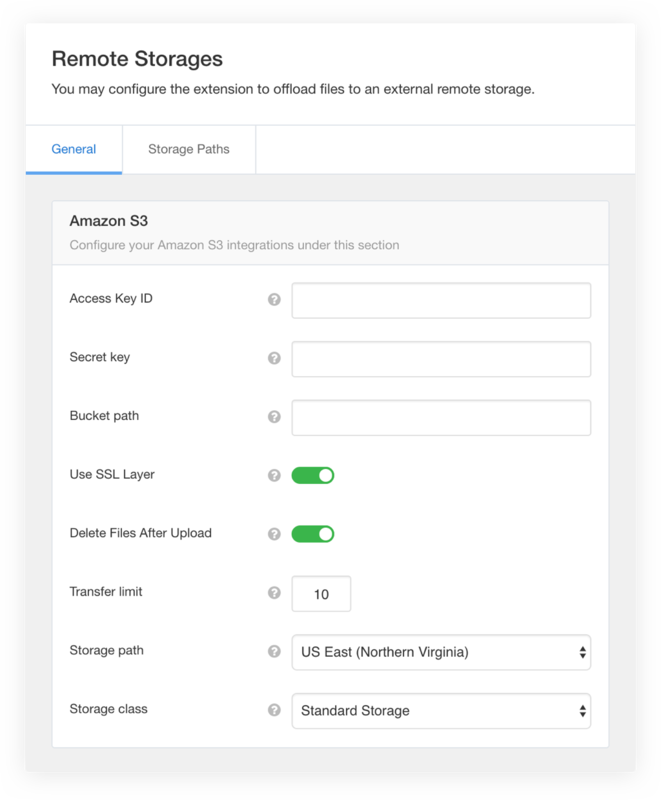 Fully chain-able custom fields called "Conditional Custom Fields" that allow site admins to setup highly interactive custom field workflows. 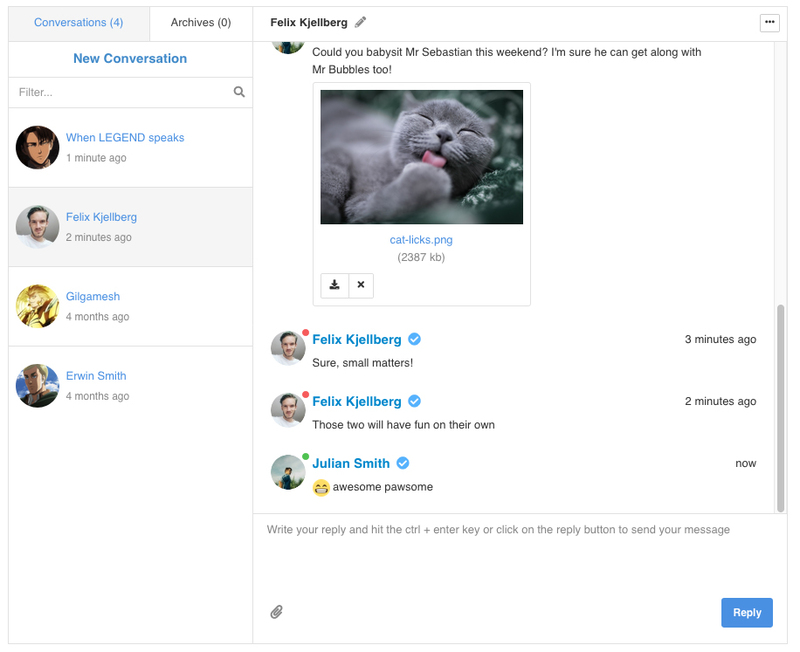 Built-in migrators to assist you with data migration from other 3rd party social network extensions such as JomSocial and Community Builder into EasySocial within minutes. Hassle-free sharing and login with Facebook, Twitter and LinkedIn. 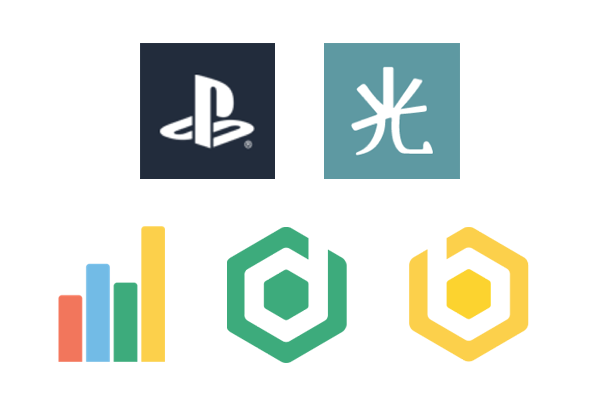 Localization - Effective communication is crucial when establishing a successful social presence. EasySocial was also made relevant to the different people groups worldwide.